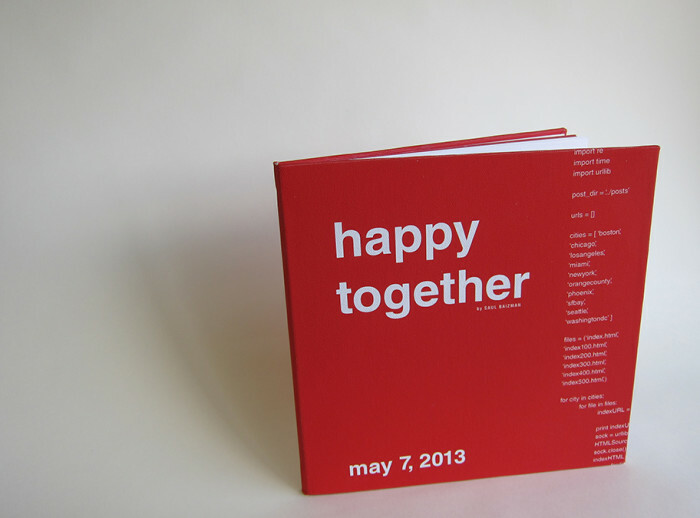 I hand-made this book. The cover is printed on canvas. 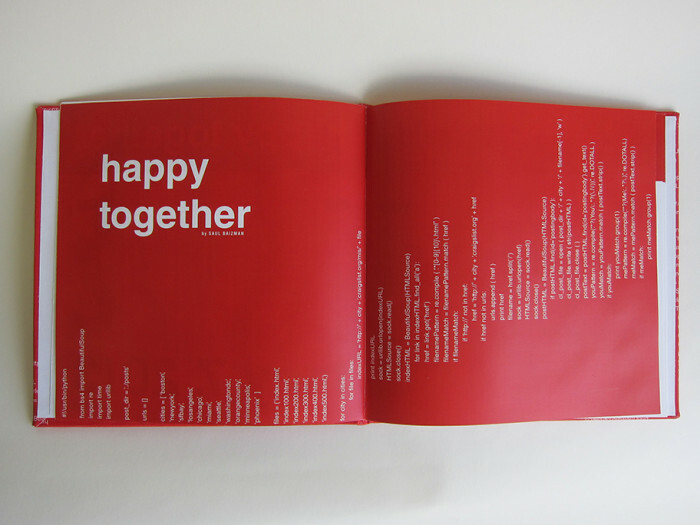 The Python program used to produce the contents of the poem appears rotated on this spread. 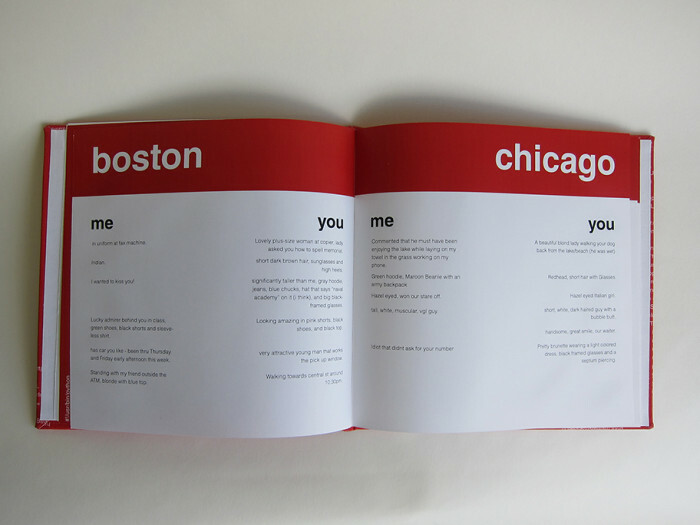 The poem for the cities of Boston, MA, and Chicago, IL.